In a new post on the Audiences Everywhere site, David Shreve highlights our "polished gem" No Crossover: The Trial of Allen Iverson. Made for the ESPN 30 for 30 series, No Crossover details the impact of a racially-motivated mass brawl upon the life of former NBA star Allen Iverson, and on the inhabitants of his hometown of Hampton, Virginia - which is also where director Steve James grew up. Shreve's essay states that the 2010 film has become "even more significant and interesting by the recent events of Ferguson, Missouri," and proceeds to explain how the filmmaker aimed "to dissect and nakedly observe the sustained inequalities of our society and the influence of that inequality on real lives." That inequality is the treatment of black males by law authorities, and the wider populace's inability, or reluctance, to engage in a meaningful debate about improving the situation. "And yet there’s a portion of our country, even larger than the collective racists, that wants to assert that these incidents don’t require further consideration, people who not only deny the need to talk about the relationship between the event(s) and race/racism, but who attempt to prohibit the conversation from happening in other circles. 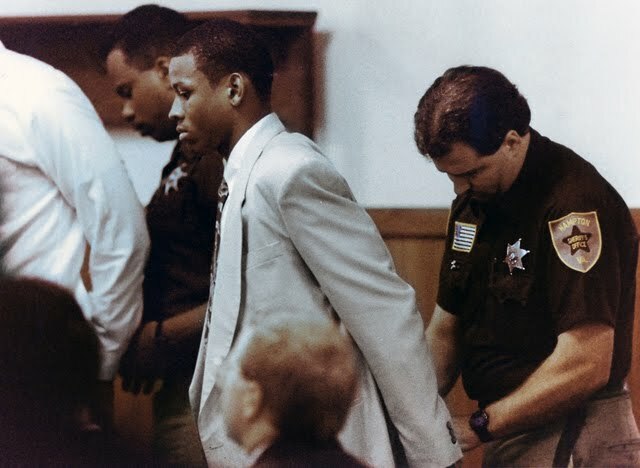 By the end of No Crossover, James shows a sort of micro-culture of avoidance in the residents of Hampton, in the participants on both sides of the Iverson trial, and in the witnesses who took the stand both for and against Iverson. No one wants to talk about the case, let alone the residual influence of racism on their community. And so it is in the current moment of America. No Crossover attempts to inspire the conversation that needs to unfold in Hampton. Unexpectedly, three years after its release, it also presents our country’s need to have the exact same conversation." No Crossover: The Trial of Allen Iverson is available on Netflix streaming and on DVD.